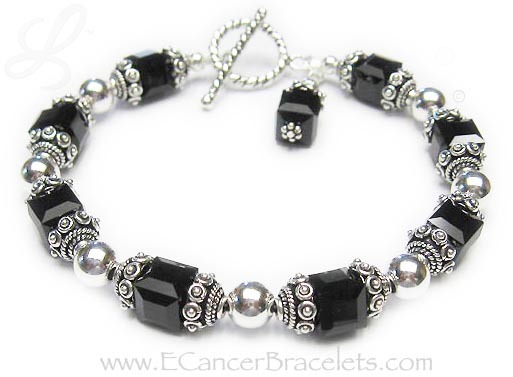 Bracelet size 9 - Sterling Silver Ribbon Charm and Crystal Dangle are included in the price. The Sterling Silver Puffed Heart Charm is optional. 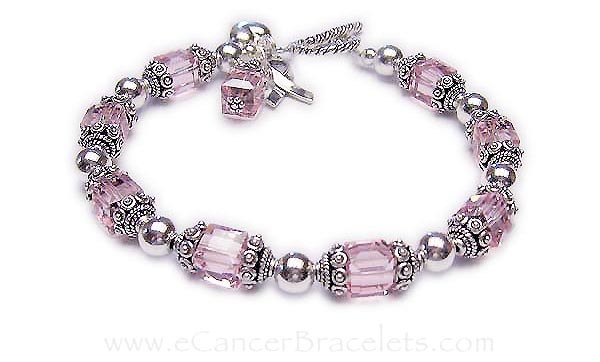 Bracelet size 8 1/2' - Sterling Silver Ribbon Charm and Crystal Dangle are included in the price. 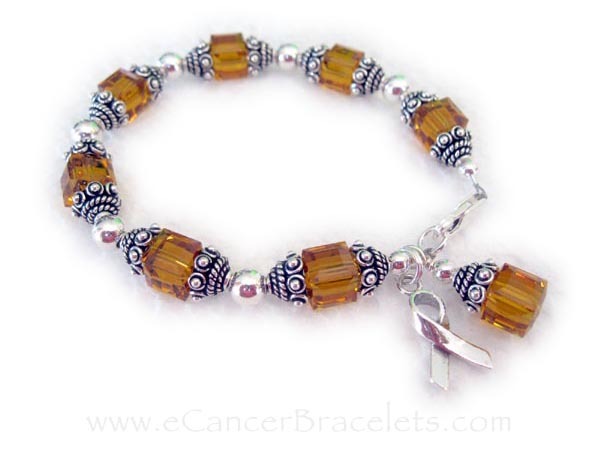 This bracelet is shown with orange or November Swarovski Crystals for Leukemia. 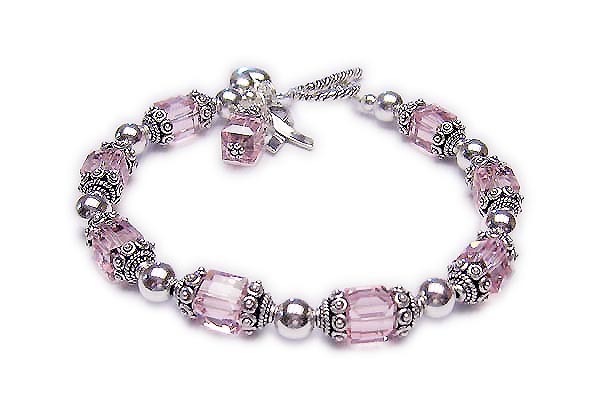 The Crystal dangle and ribbon charm are included in the price.